From left to right: Mihaly 'Michu' Meszaros, Alf, and Paul Fusco posing with Alf. 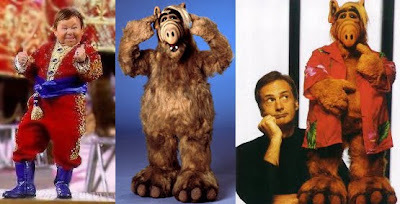 Although the voice of Alf was supplied by his creator Paul Fusco, the man inside the Alf costume was Mihaly 'Michu' Meszaros. The 2 feet-8 inch tall actor donned the costume when the script called for a full body shot of Alf walking or running. Mihaly can also be seen in 'Big Top Pee-Wee', 'Waxwork', and 'Warlock: The Armageddon'. 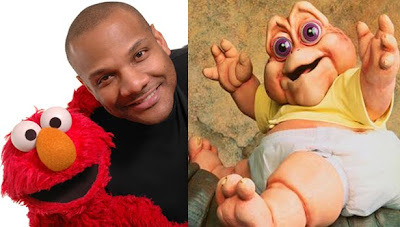 Kevin Clash with Elmo, and Baby Sinclair from T.V. 's 'Dinosaurs'. Kevin Clash is a Muppeteer who has given life to the little red monster, Elmo, since 1984. 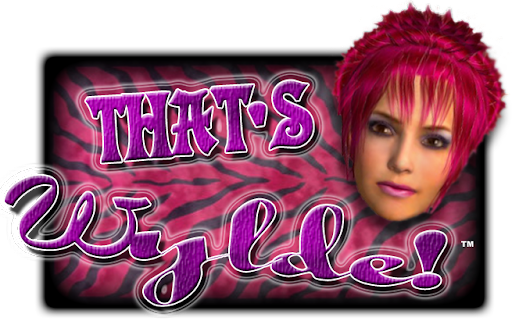 And for those of you old enough to remember ABC's T.G.I.F. line-up from the 1990's, Kevin also performed Baby Sinclair from the series 'Dinosaurs'. "Barney is a dinosaur..." and according to my parents, too annoying for my little brother to watch. 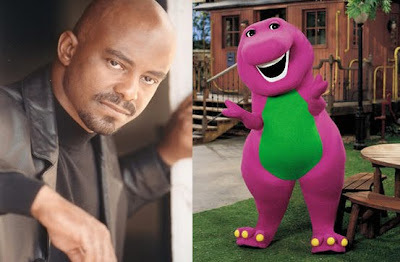 The man sweating inside the Barney costume from 1992-2001 was David Joyner. David also has had roles on 'General Hospital', 'The Young And The Restless', 'ER', and performed as 'Hip Hop Harry', another show designed for young audiences. Bart Simpson and Nancy Cartwright. During the first season of The Simpsons, the show's producers apparently didn't want news of Bart Simpson being voiced by a woman to get out, or so the story goes. 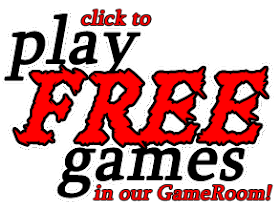 During the huge popularity of Simpson-Mania in the early 1990's, tabloids and other magazines started running cover stories proclaiming things such as, "Aye Carumba! Bart Simpson Is A Lady!" Yes, it's true. 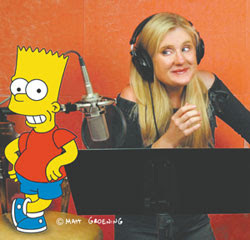 Bart is brought to life by the voice talents of Nancy Cartwright, who also provides the voices of Nelson Muntz, Ralph Wiggum, and others on the show. Thurl Ravenscroft and Tony The Tiger. 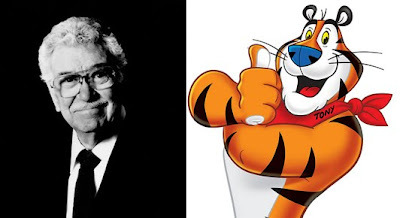 Thurl Ravenscroft was a voice actor and singer who was also the voice of Kellogg's Tony The Tiger in over 500 commercials spanning over 50 years until his death in May of 2005. Not only did Thurl coin the legendary phrase, "They're Gre-e-e-at!" for Kellogg, he also sang the song, "You're A Mean One Mr. Grinch" in the Christmas television classic based on Dr. Seuss' 'How The Grinch Stole Christmas'. Somewhere along the line, we all grow up and become a bit jaded. We lose that feeling of magic that we once embraced as children. Instead of just enjoying the charm of these characters, we break them down to figure out how they came to be. I thought that by doing some research into the people behind these iconic beings, it would somehow ruin the fun for me. Though my eyes have been opened to a new, technical side of these characters, I can honestly say that I appreciate them just the same. That is a credit to the men and women who bring ideas to life for the sole purpose of bringing joy and imagination to others around the world. A life without creativity would be a boring life indeed.